Set between Aberdeen and Inverness, this area offers you stunning scenery. 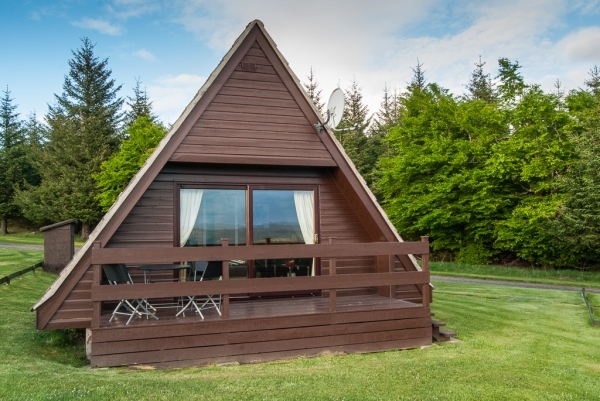 From the Cairngorm mountains, the lush Caledonian forest and the beautiful coastline overlooking the Moray Firth, the lodge is perfectly located to explore this delightful part of Scotland. The rivers are famous for their trout and salmon fishing, and they also supply water used in the making of the Speyside malt whiskies such as Glenfiddich and Glenlivet. Visiting the distilleries is a must during your holiday. There are some great golf courses, plenty of opportunities for walking, cycling and trekking in the Cromdale Hills and Cairngorm mountains. Should you wish to explore, you are only a short drive from the Lecht Ski Centre, Dufftown Golf Course and the many distilleries in the Speyside area, the beautiful Moray coast (you may well see the dolphins!) and the Speyside Way. The lodge can be booked between April and November for a minimum of three nights. Christmas and Hogmanay breaks are also available. A well-behaved dog or two can be catered for (subject to a small additional fee). 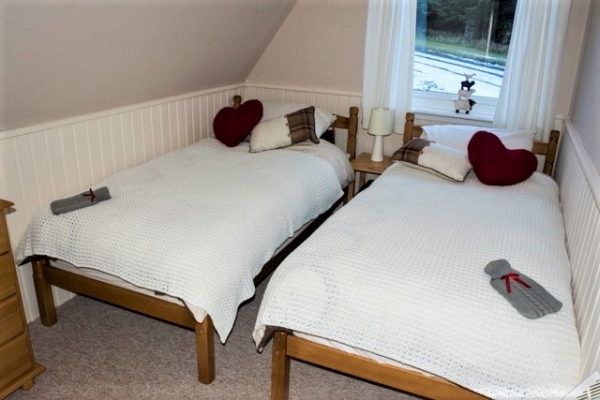 Glenlivet View offers comfortable and contemporary accommodation for up to four people, in one double room and one twin room. A travel cot and high chair are also available for younger visitors. 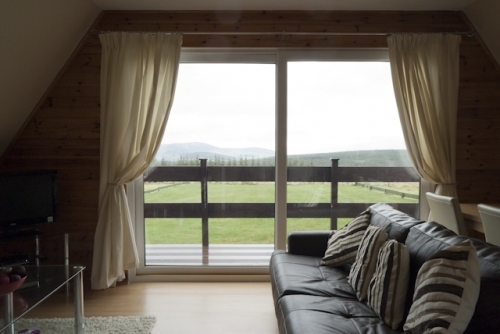 The open plan living area leads to a veranda with panoramic views over the Glenlivet estate and the Cairngorms National Park. The kitchen is well-equipped with electric oven and hob, microwave, dishwasher and washing machine. There is a bath as well as a power-shower. 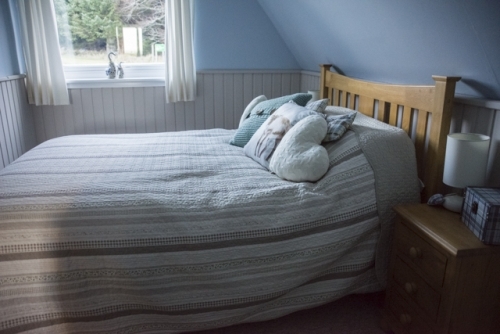 Bedlinen (excluding cot bedding), towels and electricity are included in the price. There is allocated parking beside the lodge.